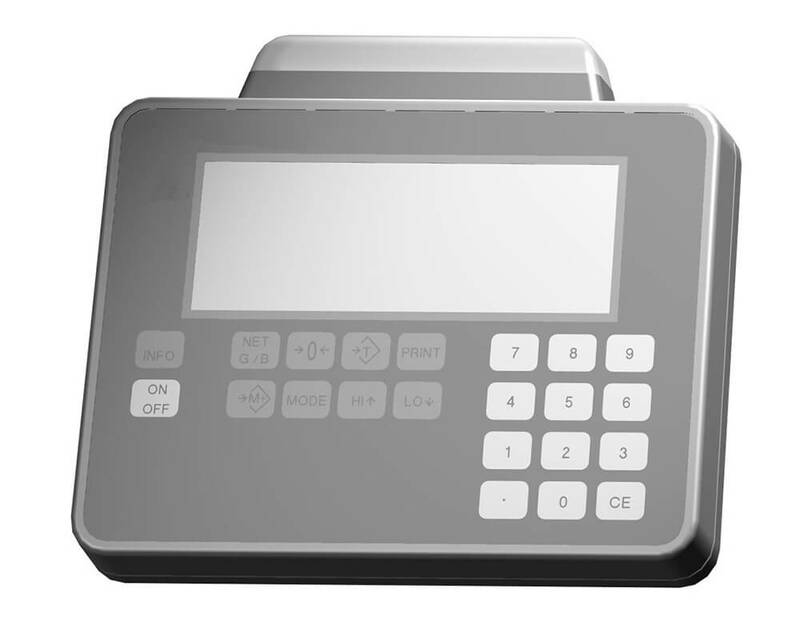 Product information "Weighing terminal MWI"
The MWI is a high-performance multifunction weighing indicator that is suitable for complex weighing applications. The large, high-contrast 60 mm LCD display ensures good readability. Up to 4 weighing platforms can be connected. Combined with the right load cells, this powerful weighing terminal can accommodate an extremely broad weight range. Various network options and the alibi memory enable operators to meet the documentation requirements of directives and the applicable laws. This flexibility enables the fulfilment of almost every customer requirement. The MWI weighing terminals can be calibrated in compliance with OIML verification class III and IIII. 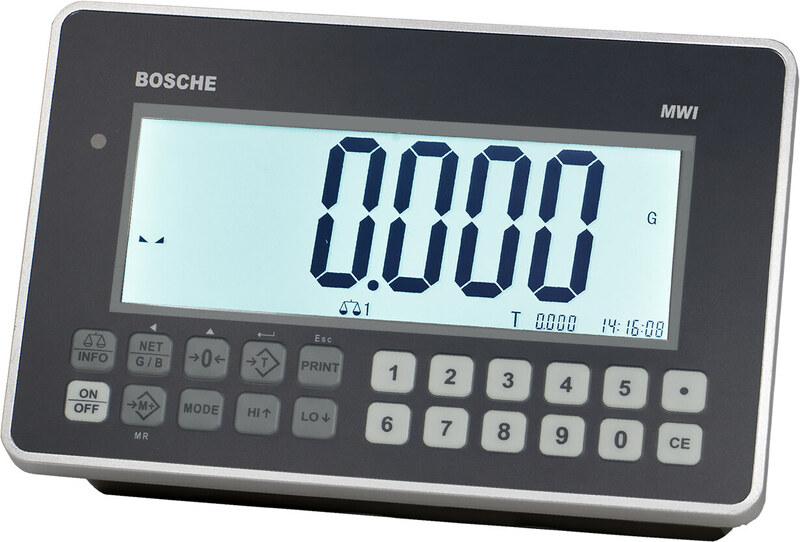 The weighing function is approved for up to 10,000 increments in compliance with OIML R76. Max. number of calibration values: n = 10,000 for single range and multiple range (however, this depends on ambient conditions and the composition of the modules). Plus/minus weighing - setting of a target weight and tolerance values for set value monitoring. Classification using a traffic lights function is also possible. 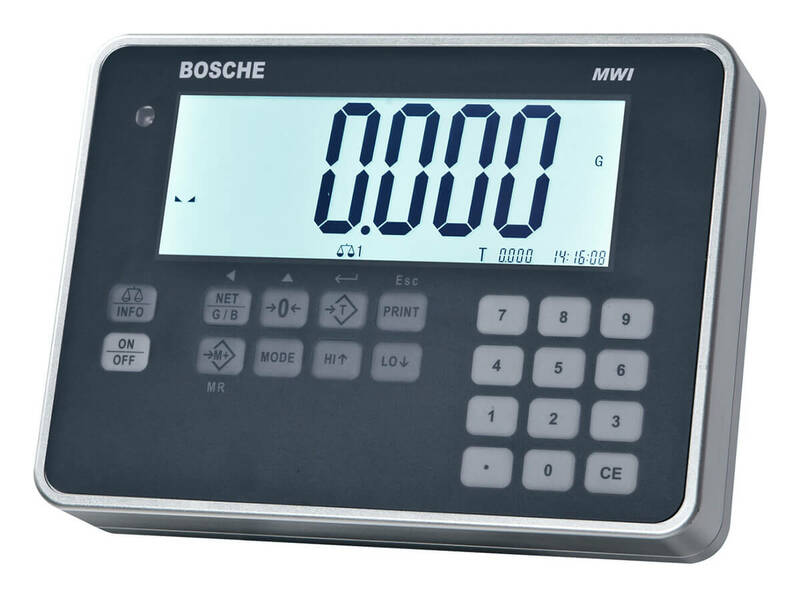 MWI - weighing indicator is housed in a robust plastic housing. 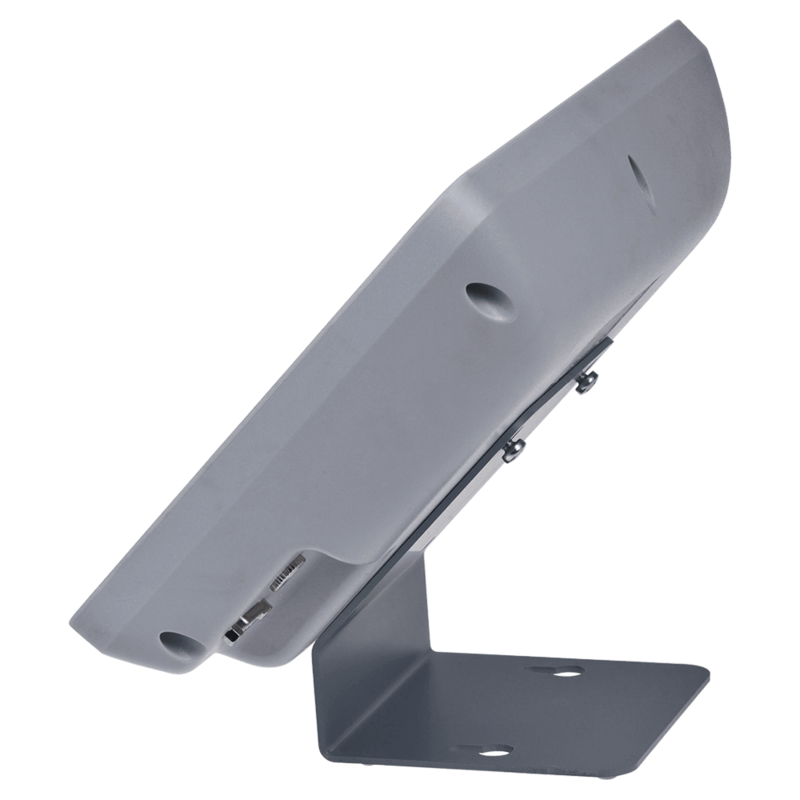 MWI-A - weighing indicator is housed in a robust aluminium housing. 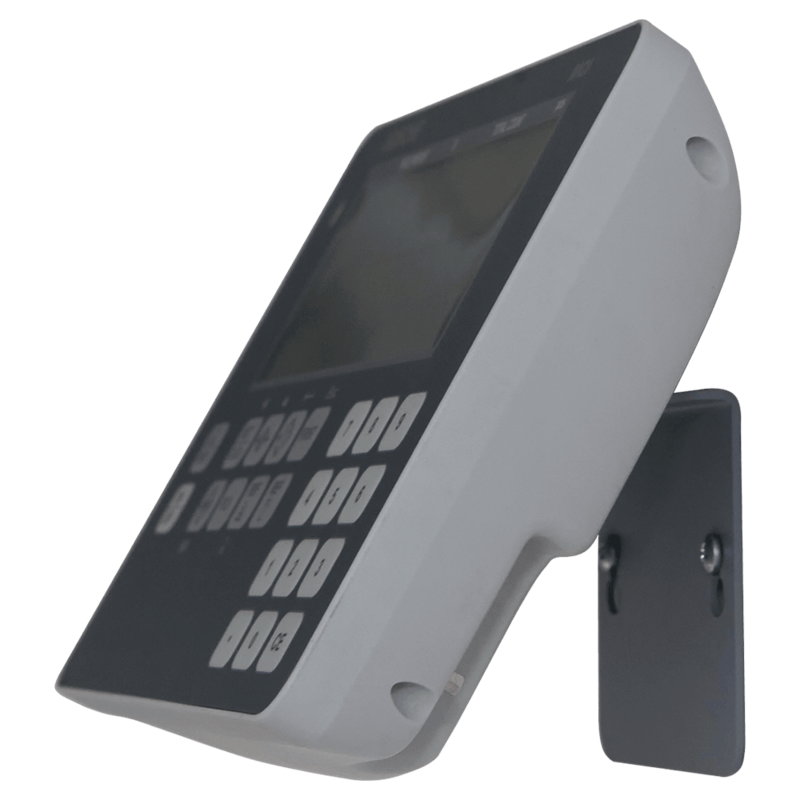 The device is operated via a waterproof keypad that has 22 numeric keys and function keys. The large keys have a positive click action and can therefore be used with confidence. The large 60 mm display with 6 high-contrast digits and status symbols is easy to read, even at greater distances. LED backlighting ensures good readability in low light conditions. The lighting can be adjusted via a menu. 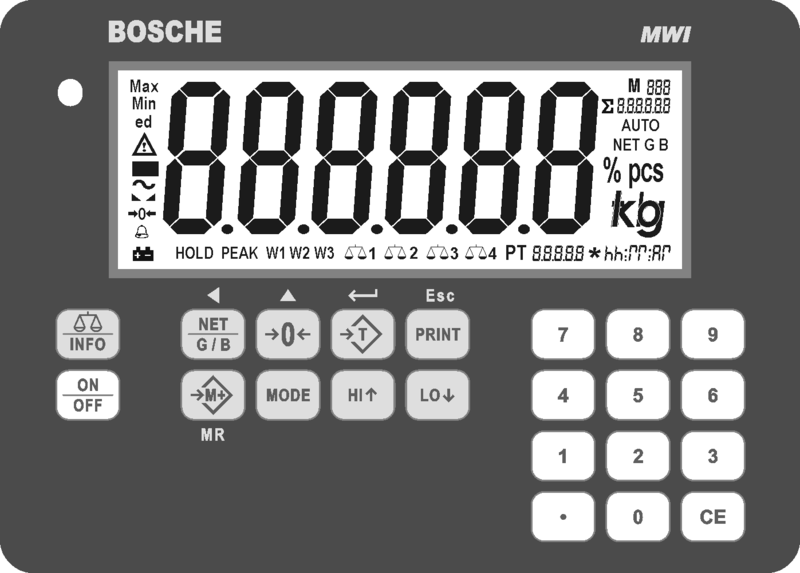 The numeric keypad is used to enter tare weight and limit values. 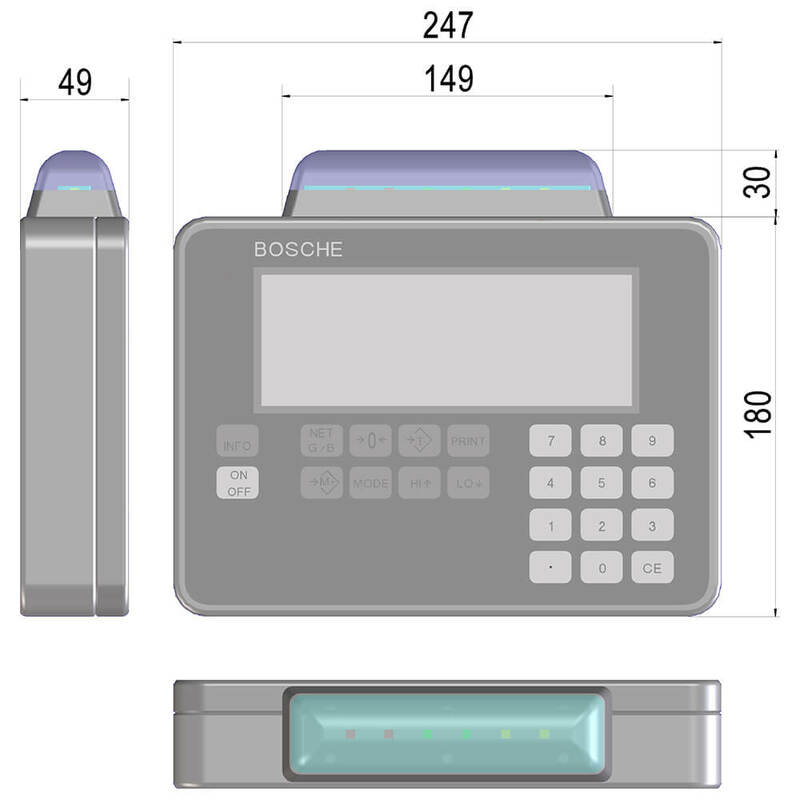 The weighing terminal comes with a serial RS-232 interface as standard, which permits bidirectional connection to a scanner/barcode reader, printer, PC or second display. This allows you to print a customer-specific, calibratable document that contains the Alibi number, date and time. One of our signal lamps (traffic lights) can also be controlled via this interface. These can make quality control easier from a visual perspective. The display is powered by a plug-in power supply (100-240V/50-60Hz) as standard. An internal battery is optional. The adjustable, automatic shutdown feature saves power and conserves the battery. Up to 15 hours of battery-powered operation is possible. The battery takes 20 hours to charge. Related links to "Weighing terminal MWI"